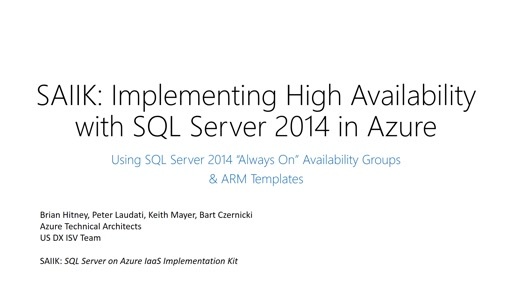 Hello, and welcome to the "SQL Server on Azure IaaS Implementation Kit" series! We call it the SAIIK ('sayke') for short. 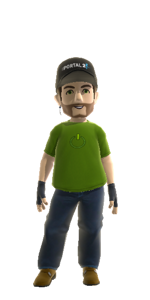 This series is produced by the US Developer Experience group that works with ISVs to help them adopt Azure. 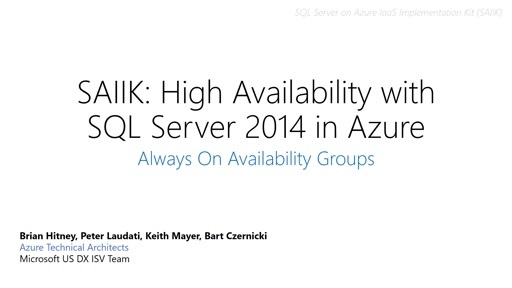 Implementing SQL Server in Azure is not for the faint at heart. 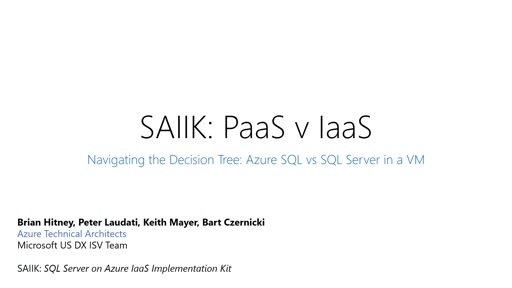 Based on our experiences with helping ISVs, we put this series of videos together to make it easier to learn about SQL Server in Azure, and how to implement it correctly.